Attorney Gregg Jarrett Calls On Mueller and Rosenstein to Resign After Rosenstein Memo Surfaces! The funny thing is that Mueller pulled out this memo to shut down Manafort’s claims that Mueller has stepped outside the jurisdiction of his duties. In doing so, he outed himself as colluding with Rosenstein. 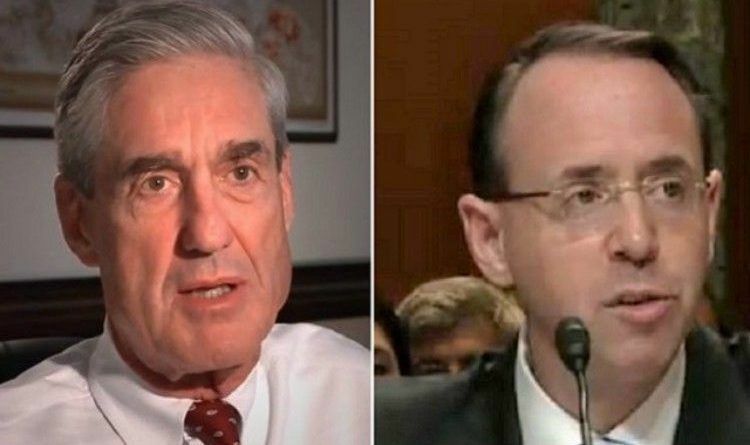 Via Gateway Pundit: “An August 2017 memo from Deputy Attorney General Rod Rosenstein to Special Counsel Robert Mueller surfaced late Monday evening in a court filing. Mueller used the memo to defend his scope of the investigation against a recent motion Manafort filed to dismiss his case. Rosenstein intentionally violated DOJ rules. Rosenstein knew exactly what he was doing since he helped convinced Sessions to recuse himself so Rosenstein could be in charge of everything! I THINK this is to help cover up of uranium 1 in which Rosenstein/Mueller has deep ties!